The Management and Staff of the Miami Beach Hotel wish to thank you for making 2013 such a great year and we look forward to having you stay at our Miami Beach Hotel in the coming year. 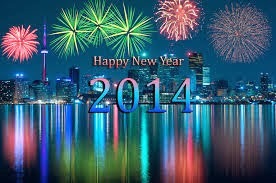 We wish you all a very safe, healthy and prosperous 2014! Please remember to not drink and drive this holiday night. Our gift for Christmas is our hospitality and excellent service. Happy Holidays from our team to you and your family! If you haven't booked your Miami Beach hotel for the holidays - time is running out. Imagine spending Christmas day on the beach, sipping a Mojito in the sunshine and celebrating the new year watching fireworks from a tropical beach - but don't wait too long or you'll be left out in the cold! If you haven't made plans for New Year yet - hurry! 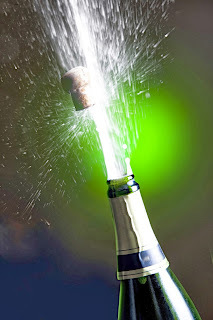 Time is running out - so give is a call and celebrate New Year in style here in Miami Beach! The Shops at Mary Brickell Village host this celebration of one of the biggest food and wine events in Miami. Enjoy food and drink at the Taste of Brickell Food & Wine Festival Holiday Launch Party. The official culinary fest doesn't will begin until March next year, but this Thursday, you can indulge in a preview best . There’s a raffle too, so you might head home with the perfect gift. Book Your Holiday Getaway Now! Time is flying by if you want a little winter sunshine over the holidays then hurry 'cause it will soon be too late - book your trip now and put a little sunshine into your December! Welcome to Miami Beach Hotel ! Good Morning! The weather is fantastic. 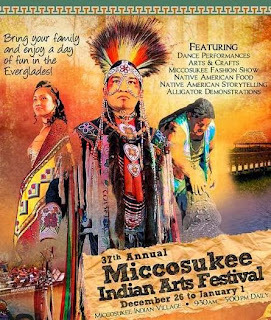 Hope to see you this weekend at Miami Beach Hotel. Wake up with the ocean close by! Why not? We hope that you had a great Thanksgiving and maybe even got a few deals in the Black Friday Sales - if not, relax - you can still today shop the sales online - now known as "Cyber Monday" and remember if your looking for a deal on a hotel in Miami then the Miami Beach Hotel is always the place to stay - you can even book on our Facebook page and save! This premier fair celebrates its 24th anniversary as it kicks off the opening day of Art Week. World-famous for its extraordinary variety, outstanding quality and its stylish gallery-like decor, Art Miami - Miami's longest running contemporary art Fair - showcases the best in modern and contemporary art from more than 125 international art galleries. Design Miami presents the best international design galleries exhibiting extraordinary historic and contemporary design. Designers, collectors, dealers and curators from around the world participate in lectures, exhibits and design installations. An Art Basel satellite event. 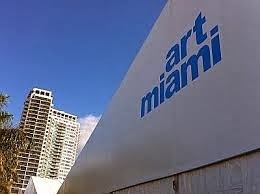 Art Basel Miami Beach is the most important art show in the United States, a cultural and social highlight for the Americas. Art Basel Miami Beach combines an international selection of top galleries with an exciting program of special exhibitions, parties and crossover events featuring music, film, architecture and design.